The wire service uses the first sausage-based rating system to fact-check politicians from No Baloney to Full of Baloney. While many fact-checkers around the world rate the accuracy of statements on a true-to-false scale, the team at the Canadian Press rates them by their value in meat. 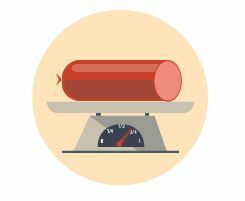 The Canadian Press Baloney Meter is the world’s only sausage-based rating system, a lighthearted scale that goes from No Baloney (true) to Full of Baloney (false). The scale is inspired by the old saying about someone telling a lie. “It’s kind of a throwback,” said Canadian Press Ottawa Bureau Chief Heather Scoffield, but the ratings don’t mean the work is frivolous. The Canadian Press fact-checks explore important topics and are backed by thorough research. The Baloney Meter can be “silly, but the piece itself is the furthest thing from being silly,” Scoffield said. Scoffield launched the fact-checking service last spring after months of deliberation. The fact-checks started just in time for Ontario’s general election last June. The provincial race was something of a practice round for the Canadian federal election this fall. Scoffield said she plans to increase the number of fact-checks as the election nears. “There’s enough baloney out there that we could ramp up,” she said. Currently, most Baloney Meter fact-checks examine statements by officials in the federal government, but Scoffield said the focus will shift to political parties during the election. 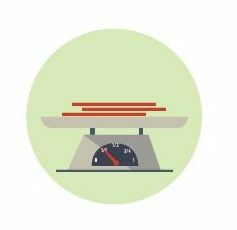 Unlike most fact-checking efforts, the Baloney Meter has no dedicated staff or website. The checks are done by reporters for the wire service and the content is sent to subscribing news organizations for them to use in print and online. While readers can’t directly search for every meter ranking at a centralized location, the broad reach of the wire service gives the fact-checks wide exposure. The biggest challenge for the Canadian fact-checkers has been the difficulty getting public data. When fact-checkers determine there is inadequate information, they use Baloney Meter’s “Some baloney” rating. Scoffield said the Baloney Meter has earned a good reputation in the Canadian government. She said that politicians like the attention to the substance of the policy rather than the theatrics surrounding it. “Even if they [politicians] don’t come out looking great, they appreciate that we’re talking about the substance of it,” Scoffield said. With that kind of impact comes a great deal of responsibility. Scoffield said she knows that even the slightest slip up could lead to criticism.